Earn $14.00 in VIP credit (1400 points)What's This? 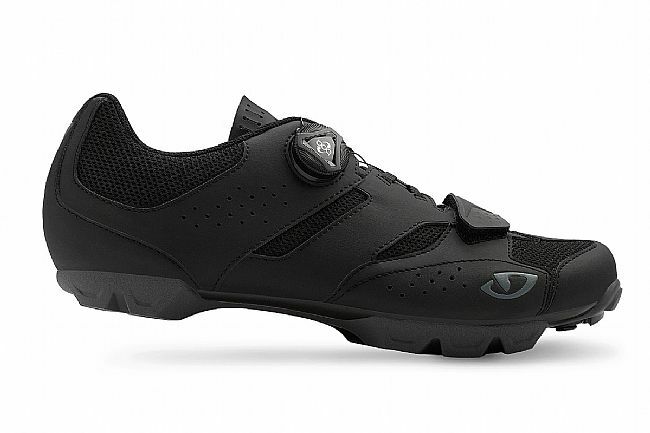 The Giro Cylinder mountain bike shoe offers the comfort expected from Giro and ramps it up to 11. With the quick adjustment provided by the combination of a micro-adjustable Boa® dial and a set-and-forget hook-and-loop strap, the Cylinder's wrap around the foot for a glove-like fit. The Boa® L6 dial offers 1mm adjustment increments when tightening, and a macro-release function to get out of the shoe quickly at the end of the day. The co-molded nylon and rubber lugged outsole provides high traction and durability, with plenty of stiffness for better pedaling. The Giro Cylinder MTB Shoe is compatible with 2-bolt cleats and pedals. The Cylinder weighs 315 grams for a pair in size 42. Durable and breathable synthetic upper construction for trail-rated performance. Boa® L6 dial system provides 1mm adjustments, with macro-release function. Toe and heel micro-fiber reinforcements for added durability. 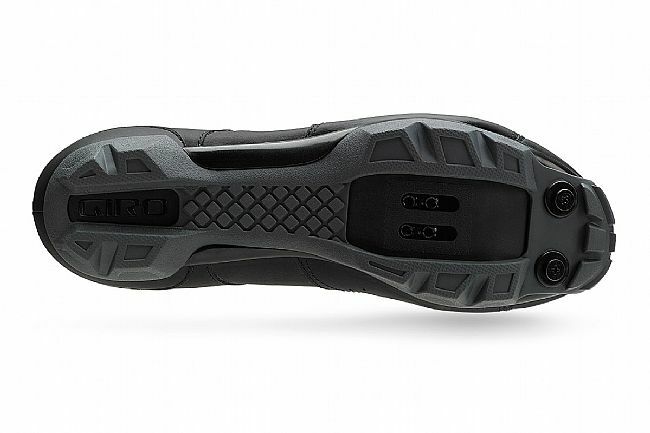 Co-molded nylon and rubber outsole provides maximum in traction. I needed some new SPD-compatible shoes for gravel riding, touring, etc. (I use SPD-SLs on my road bike). These are very good shoes for the price and for my purposes - they are lightweight, and the Boa system is very easy to use and a nice touch at this proicepoint. They work well with a variety of mountain and touring pedals. The only negative is that they are only available in whole sizes - my Giro road shoes are 43.5, and that would have been ideal for these Cylinders. As it is, 43's are working out okay, just so long as I wear thin socks. High performance for a low price! This shoe was comfortable from day one! I really like the way the BOA dials in the snugness of the shoe and does not have any pressure point that would make the top part of your foot hurt after a few hours of riding. I tried on the cheaper versions of this shoe with the straps and velcro but felt the unevenness of the straps as I attempted to tighten the shoe. 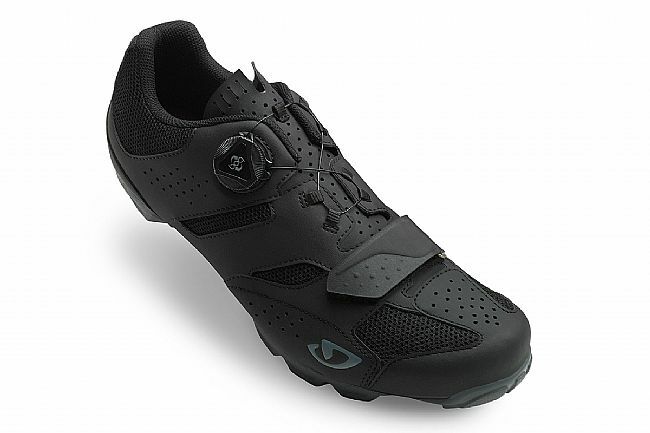 Comfort plus the low price from BikeTiresDirect makes it a no brainer for a mt bike shoe! I've been wanting to upgrade my riding shoes to the boa cable tightening system for many years. I've tired of always having to lace and tuck in shoe strings. For the price you offered these high end shoes to me how could I not upgrade? Lighter and tighter is where it's at! I bought this shoe specifically to use for cyclocross as it has a boa closure system to dial in the fit and the option to add front spikes. At first I thought the shoe was too narrow in my correct size but after about 5 minute warming up in the shoe, it completely surprised me to how well it fit and stayed snug around my foot. There is just the right amount of arch support and with the front velcro strap you can adjust to allow your toes more or less room to customize the fit or adjust as your feet heat up on a long ride. Power transfer through the footbed is solid and the insole provides just the right amount of supportive cushion. This is a great MTB shoe that is very lightweight and fits your foot like a glove with the perfect amount of adjustability. I am now a new fan of Giro shoes!